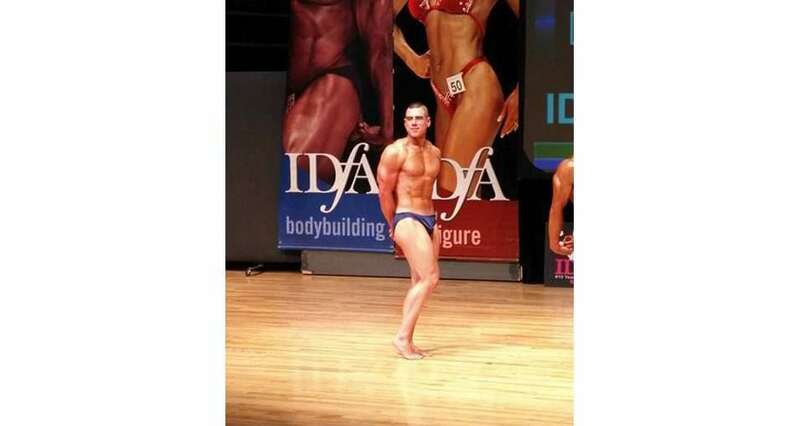 Looking to avenge his last-place finish at his first bodybuilding event last October, Kyle Diabo is going all out. He’s preparing for the International Drug Free Athletics event next Saturday, June 16, and he’s pretty pumped, excuse the pun. “Right now I am cutting to become as lean as possible so I really have to watch what I eat and limit my calories,” said the 5’8 160-pounder, who wants to get down to 155. And it’s not just bodybuilding for 35-year-old Diabo. There are also a few other elements that make it pretty interesting. “The prep requires us to be at five percent body fat. We have to practice an on stage routine as they will call upon us to pose in specific ways as they make comparisons between competitors,” he said. “We will then be able to create our own routine to display our best poses. We are required to be tanned as well as this helps to improve the definition of the build. We also get graded on the tan as well,” he said. Size, symmetry, the best poses and the sweetest tan. That’s Diabo’s homework assignment to get on the podium. Oh, and a little sass. “On-stage presence is critical as the judges are looking for charisma – that is why you always see bodybuilders smiling on stage,” he said. The IDFA was founded in 2005, and “is committed to promoting drug free (natural) bodybuilding world wide through education, awareness, camaraderie, and community involvement,” according to its mission statement online. “The IDFA will maintain the integrity of drug free athletics and sport through awareness programs and the promotion and sanctioning of drug free bodybuilding, fitness and figure competitions and shows. The IDFA will have in place strict drug testing guidelines and protocols to ensure a fair playing ground at all IDFA sanctioned events,” it reads. There are two categories for men: bodybuilding and physique. There are also three categories for women: figure, fitness model and women’s bikini. Last October Diabo faced five amateur competitors in his category, but he feels with added experience and “training really hard,” he has improved quite a bit from eight months ago. “The charisma for me has to come from the love of the sport,” he said, of the elements outside of the actual weight training that comes with getting into such sculpted shape. He gives thanks to his family and friends who have “helped me on this amazing journey,” but he hopes bodybuilding and the sacrifice it comes with will help others as well. Ash trees could disappear in 15 years: What can you do to fight the invasive emerald ash borer?